Google's Wear OS platform is not exactly in a position to challenge Apple's market-dominating smartwatches or even Samsung and Fitbit's proprietary options in terms of mainstream popularity, but that's actually good news for bargain hunters. We've seen a number of respectable Wear OS-powered devices massively discounted of late, ranging from the Fossil Sport to the Misfit Vapor 2 and Skagen Falster 1, and now it's time for the Mobvoi TicWatch Pro and TicWatch C2 to go down to some irresistibly low prices too. While the TicWatch Pro is arguably the fancier, more inventive model of the two, Mobvoi's TicWatch C2 deal might actually be cooler. That's because the more conventional, single screen smartwatch was already pretty affordable, at a $199.99 list price, merely seeing daylight a few months ago. All you have to do to shave 20 percent off that 200 bucks is check out with a PayPal account on Mobvoi's official website, which will instantly lower the price to $160. That brings the TicWatch C2 on par with Fitbit's recently released Versa Lite Edition, which skimps on a number of key features and sensors. Meanwhile, the C2 offers everything from built-in GPS functionality to a heart rate monitor, NFC support for wrist payments, full access to Google's wearable-dedicated Play Store, water resistance, and even music streaming capabilities. 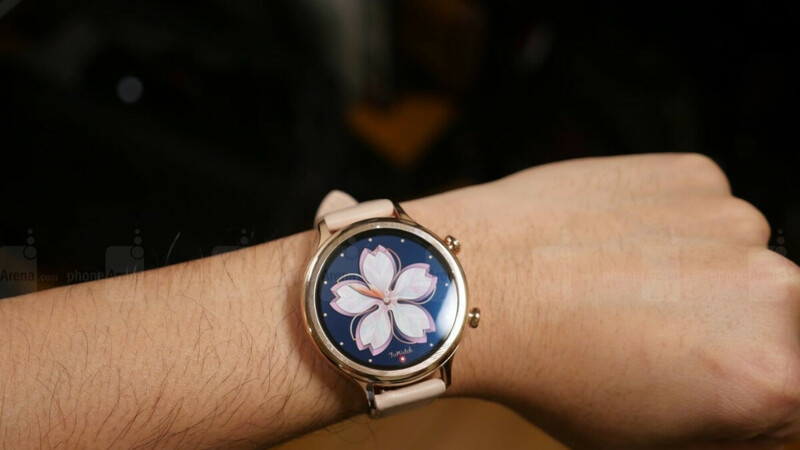 Not to mention the ultra-affordable smartwatch is also quite stylish, with its stainless steel case matching onyx, platinum, and rose gold straps. The ingenious Mobvoi TicWatch Pro gets a 20 percent markdown of its own for PayPal purchases, dropping from a $249.99 list price to only 200 bucks or so. This bad boy comes with two displays laid on top of each other, one of which can stay on for up to 30 days between charges in a fitness-focused "Essential Mode" providing little more than basic activity tracking information. Of course, the other screen is a 1.39-inch AMOLED beaut with 400 x 400 resolution. The TicWatch Pro also features everything from a standalone GPS connection to a heart rate monitor, Google Pay support, water resistance, and Google Assistant functionality, so it's really not easy to choose between these two deeply discounted Mobvoi products.